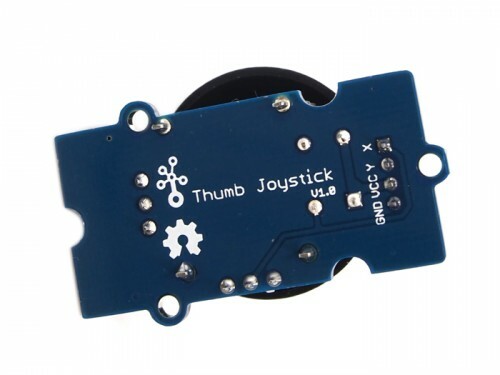 Grove - Thumb Joystick is a Grove compatible module which is very similar to the ‘analog’ joystick on PlayStation 2 controllers. The X and Y axes are two ~10k potentiometers which control 2D movement by generating analog signals. 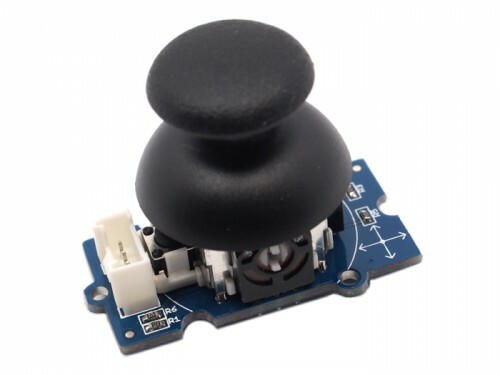 The joystick also has a push button that could be used for special applications. When the module is in working mode, it will output two analog values, representing two directions. 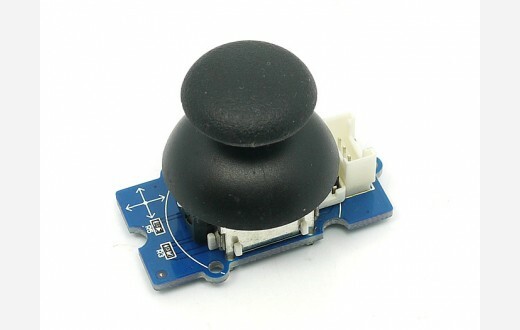 Compared to a normal joystick, its output values are restricted to a smaller range (i.e. 200~800), only when being pressed that the X value will be set to 1023 and the MCU can detect the action of pressing.